More people with disabilities in Wales are participating in sport than ever before, according to new data. 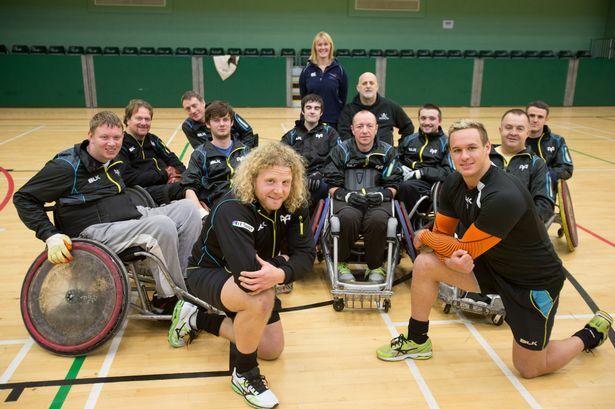 Disability Sport Wales (DSW) attributes the growth in participants to Grassroots Investment and the Paralympic legacy. The next step is to allow disabled people to take part in mainstream sport. The new figures were released just as 600 people participated in Cardiff’s 10th annual Wheelchair Sport Spectacular. Jon Morgan, executive of DSW, was pleased with the increased figures, which had been on the rise over the last decade. Mainstream clubs are now being offered the support and education for this to happen, Morgan says. The move would allow disabled people to walk up to any local club and participate in the sport they love, whether they live in an urban or rural area. Progress is being made, according to Morgan. The Tata Steel sailing club currently has 26 disabled members. There are 14 integrated members in the Dolphins water polo club, and 20 integrated members taking part in the Maldwyn Dragons gymnastics club. Disabled sportspeople are also taking part in other sports as well. The St. Patrick’s karate club in Cardiff has 35 disabled members, while the Gelli Galed bowling club currently has 43 integrated members. “Things are moving the right way,” says Morgan. Through a government-funded program in Wales, disability sport development officers were placed in 22 local authorities in 2000. John Griffiths, Sports Minister, says the Welsh government acknowledges the “valuable contribution” physical activity and sports offers to a person’s overall health and well-being. Griffiths expressed his hope that that the number of integrated participation opportunities and disability sports clubs continues to rise. Laura McAllister, chair of Sports Wales, said the increased number of participants is expected after the Paralympics and Olympics, but Wales had been working for more than 10 years to build the infrastructure to reach this point. McAllister said she is often asked about Wales’s record number of players in disability sport when she travels to different countries. She attributes the rising number of players to the country’s investment at the grassroots to allow all people, no matter their disability, to play sport. The effort seems to be paying off, with many Welsh athletes setting world records at the Paralympics and in other disabled sports competitions. In 2002, there were 30 disability sports clubs in Wales. That number swelled to 331 by 2012. Membership in disabled sports clubs jumped 10%, and participation numbers are up to over one million from 927,000 over the last year. The number of coaches is on the rise, too, with numbers jumping from 1,621 to 1,766 in 2012. Since the Paralympics and Olympics, an additional 160 people have volunteered. Morgan says future major events, like the championships in Swansea in 2014, will help Welsh disabled athletes “inspire the nation,” much like they did in 2012. Aled Davies, Paralympics legend, was crowned double world champion, adding the discus F42 gold to his shot putt title won at the IPC World Championships in Doha. Davies was in top form, holding a commanding lead from start to finish of the event. 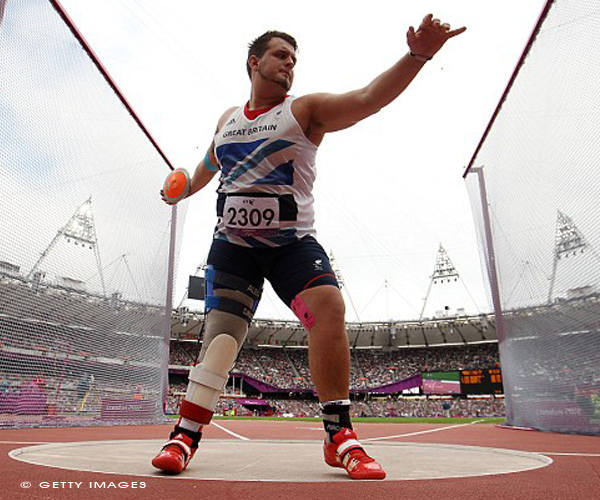 The Welshman set two world records with his 49.59m effort in the fifth round and completing the double double. Davies achieved the same feat in Lyon in 2014. 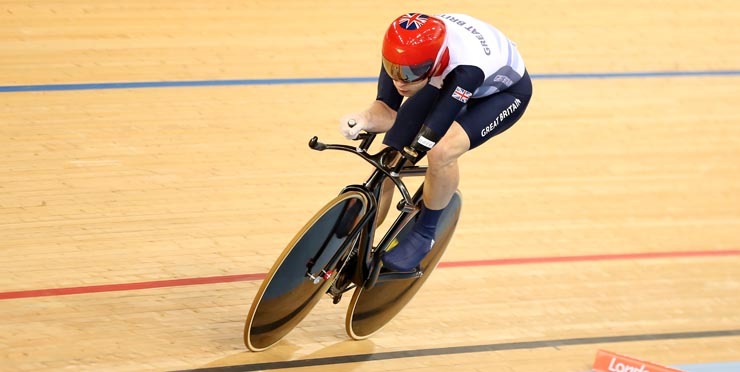 The Paralympics legend completed this impressive achievement after recovering from hernia surgery just 11 weeks ago. Davies was “delighted” and said the competition was one of the most “consistent” for him. Four of the champion’s throws were over the previous world record, while six were in. “I’m pain free as well,” Davies said. The 2012 Paralympics discus champion said he couldn’t have imagined himself here ten weeks ago, and thanked the British Athletics medical team for their hard work. Davies says he owes his two gold medals to the medical team. “Without them, I wouldn’t have done it,” he said. The medal was one of eight won by the Great Britain team on Wednesday. Kyron Duke of Cwmbran took home the F41 javelin bronze medal after throwing 37.99m in the second round. It was the fourth medal for Duke. Sam Bowen took fifth in the final F44 discus, with a best of 8.04m in the first round. Richard Whitehead and Hannah Cockroft both won gold medals to complete a triumphant day for the British Athletics after a week of competition. A major highlight from the evening was in the final T3 800m when Cockroft led a one-two-three. Cockroft added a seventh world title to her belt, setting a 2:07:10 championship record. Kare Adenegan, age 14, and Mel Nicholls took home bronze and silver medals. Adenegan and Nicholls were just as impressive, with times of 2:09.66 and 2:09.26 respectively. The youngest member of Britain’s team led the field before Cockcroft surged ahead, powering her way to victory. Richard Whitehead tied the world record for the T42 200m with 24.10 in the semi-finals, earning the first gold medal of the evening for Britain. The world champion overhauled the field to land a hat-trick of gold medals. David Henson, 2014 Invictus Games champion, ranked seventh in his very first world final, just behind Whitehead, his mentor. Hensen caught his blade when he came off the bend, but managed to remain composed and recorded a finish time of 27.08. Toby Gold and Dan Bramall added two more medals to the T33 100m final, taking home bronze and silver respectively. Bramall got the head start and recorded a time of 18.93, while Gold sealed his spot in third place with a time of 19.27. Claire Harvey came in eighth in the F55 discus, recording her best of 18.43m in the third round. Winning the semi-final, Graeme Ballard advanced to the T36 100m final with a time of 12.37. Welshman Jordan Howe also moved onto the T35 100m final, securing the third position in 12.92s.